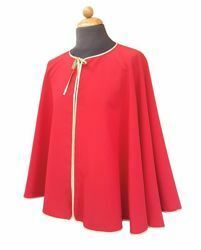 Confraternity Cloak produced in Italy by the historic Ricamificio Umbro. Colours: Ivory, Red, Green, Purple, Light Blue. 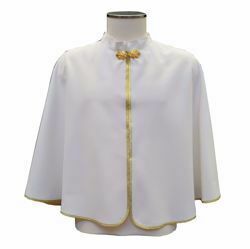 CUSTOMIZABLE Confraternity Cloak with golden diagonal trim Satin (Raso) - Shoulder Cape customized colours and embroidery upon request. 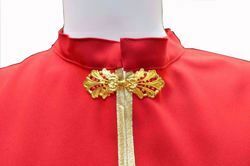 Confraternity Cloak finished by hand, made by a workshop specialized in sacred Vestments. 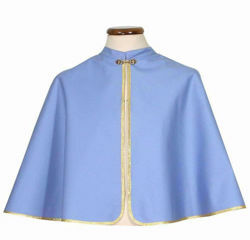 CUSTOMIZABLE Confraternity Cloak with golden diagonal trim 100% Polyester Vatican Fabric - Shoulder Cape customized colours and embroidery upon request. Basic colors: Ivory, Violet, Red, Green, Light Blue, Black, Brown. 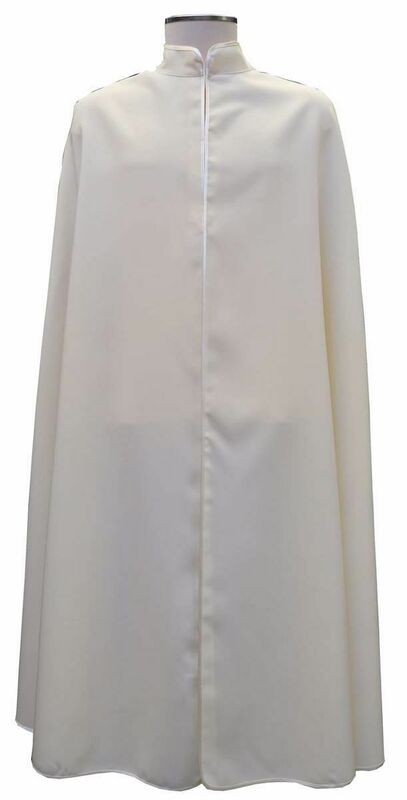 Basic Colours: Ivory. Please contact our Customer Service for customized colours. Please contact our Customer Service for customized colours. Please contact our Customer Service for customized colours and embroideries.